A radio receiver in the living room may be operated from the kitchen, a bedroom or any other part of the home with the aid of a small remote-control cabinet which has no wires leading to the receiver or any other physical connection with it. Since it is unnecessary to “plug in” the portable control unit or to attach it to the receiver, it is as easy to play the radio while sitting on the front porch as when in the living room beside it. With the aid of the wireless box, a Philco receiver designed for this form of remote control can be operated from a distance or tuned with controls built in the cabinet, whichever is handier. With the remote-control unit, any one of several stations can be selected, a change can be made from one station to another, volume can be adjusted or the set can be turned off, simply by operating a dial in the top of the wireless box. The makers claim each unit will operate only the set for which it is designed. 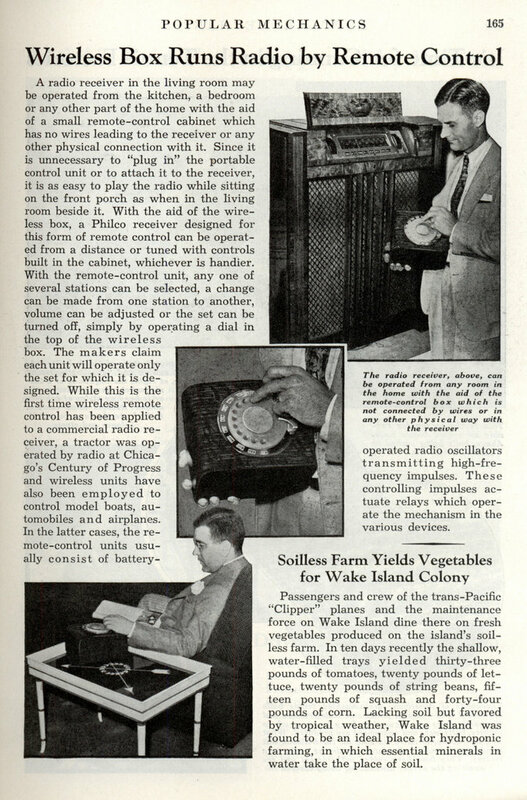 While this is the first time wireless remote control has been applied to a commercial radio receiver, a tractor was operated by radio at Chicago’s Century of Progress and wireless units have also been employed to control model boats, automobiles and airplanes. In the latter cases, the remote-control units usually consist of battery-operated radio oscillators transmitting high-frequency impulses. These controlling impulses actuate relays which operate the mechanism in the various devices. 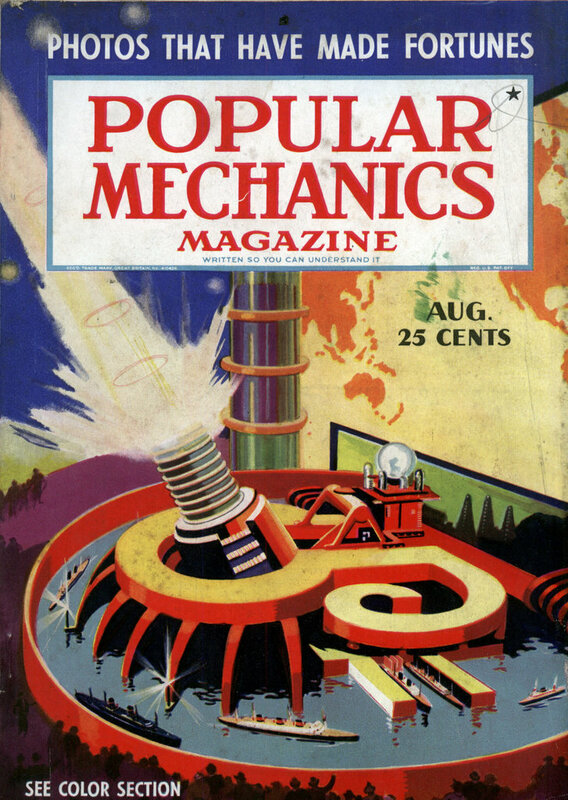 You can see this in operation in one of the “Topper” movies of the late 1930s or early 1940s. Cosmo is at a bar and is trying to place a phone call but is using the radio remote by accident. He blames his invisible friend for messing with the radio! Hey…. didn’t the inventor of the TV remote pass away recently?